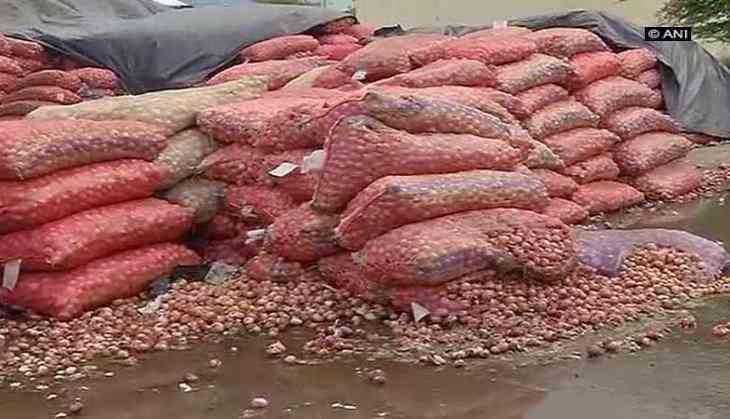 Eight thousand metric tons of onions are reportedly rotting due to heavy rain in the Karod Market in Bhopal, Madhya Pradesh. These onions have been purchased over the 17 days, but in Bhopal there is no arrangement for storage. Mukul Gupta, sub-divisional magistrate of Govindpura district, said the administration has decided that farmers will not be allowed to sell their onions in districts other than their own district. He added, "Only 500 to 1000 sacks of onions has rotted due to rain."